Mera, Queen Of Atlantis #5 Review - Truly Inspired! Mera, Queen Of Atlantis #5 Review – Truly Inspired! Verdict: 4.5 / 5Mera Queen Of Atlantis is a must-read for fans! I have often referred to this series as the Game of Thrones of the DC Universe and Mera, Queen Of Atlantis #5 only cemented that analogy. All the threads come together in this issue as the proclamation of King Nereus was to be heard. Would he side with our heroes, in order to fight against the treacherous man that sits on Atlantis’s throne? Or will he decide against his would-be allies, in a bid for control? 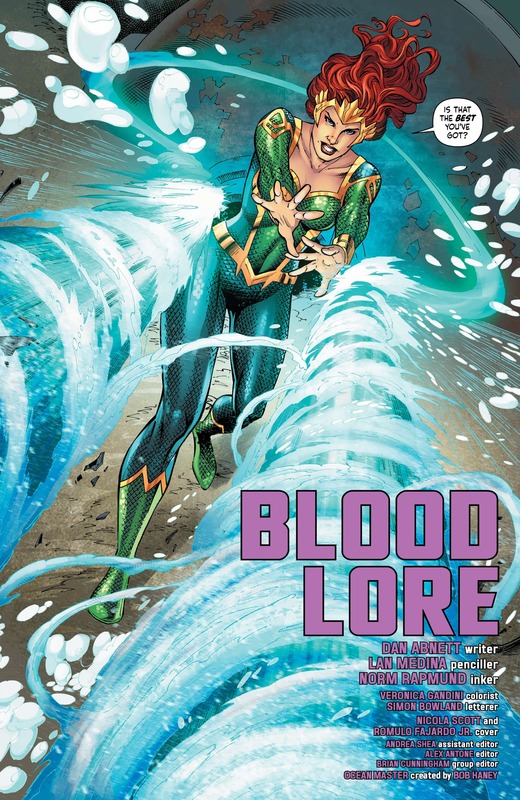 Mera, Queen Of Atlantis #5 surprisingly focused a lot more on Mera’s relationship with her former teacher, Leron. A mainstay of the series thus far, Leron’s bond with Mera is so strong that he is willing to go against the wishes of his King in order to protect her. Perhaps seeing her as somewhat of a daughter, he has trained her from when she was young and there is great pride in him, knowing where she has gotten to in her life. This relationship will perhaps be paid off in issue 6, so don’t be surprised if we see a surprise turn for the character, or maybe an unfortunate death. Elsewhere in the penultimate number in this title, we learn of the true nature of the plots surrounding Mera. Nereus, her Grandmother and Orm, have all come to a very convenient agreement for themselves that sees Orm as King of Atlantis, with his sister married off to Nereus. What’s surprising here is the conviction the Ocean Master has to duty once again, pledging never to forget his land-dwelling family but to leave them all the same. This is a character decision that I believe will be played upon more in the finale, as Orm seemed genuinely at peace above water. It seems that duty doesn’t overtake family this time. Unfortunately, whilst providing some heavier dialogue, it appears that Tula’s main role in this narrative all along was to be kidnapped and married off. The damsel in distress, it’s a shame that this character has been underutilised although that is still subject to change. The trial by combat twist ending provides the necessary conflict to take us home, securing the deal between Xebel and Atlantis. With a heavy emphasis on the traditions of this Kingdom throughout the series, it seems only fitting that the finale will take place surrounding their most ancient ritual. With tension between Mera and Orm boiling underneath their uneasy alliance, it is about time these warriors are tested against one another; especially when there is more at stake than just Atlantis, with the themes of family circling back around again. This series has been, in my opinion, truly inspired, with a great game plan that has driven the story forward each week. With the limited run, the writing team have planned this out incredibly well and it’s shown in its execution. The politics of this have been outstanding and, honestly, this narrative wouldn’t look out of place on a weekly TV show, if one was ever to be made about DC’s resident underwater heroes. I am thoroughly looking forward to the conclusion of what has been a refreshing series that doesn’t rely on some magical object to solve its issues. 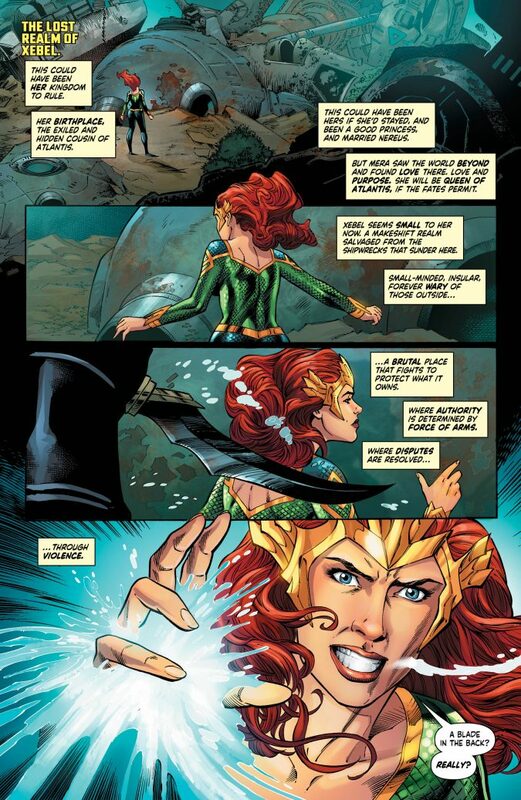 Mera, Queen Of Atlantis instead relies upon quality character work and compelling set pieces.